On May 6th and 7th, these 10th grade high school students made homemade granola in class for fruit parfaits and trail mix for the upcoming bike ride. 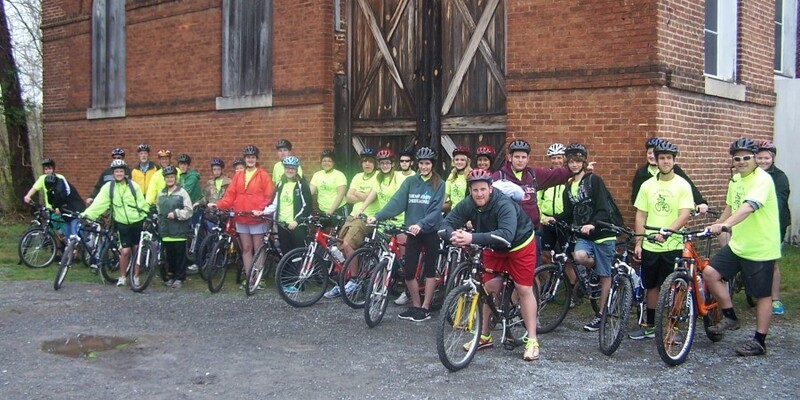 On May 10th, we drove 2 hours north on I-81 to Williamsport, Maryland and rode 30 miles on the C & O bike trail. We had lunch at the 13 mile mark outside the walls of Fort Frederick. A grant paid for our food which was all healthy and some of it was made by the students. After lunch, a tour guide explained the history of the fort. We pedaled over fours hours to reach our destination in Hancock, Maryland. What a great way to integrate nutrition, history, wellness, and exercise.